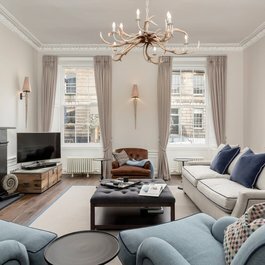 Just around the corner from our gorgeous Stafford Street Townhouse and Apartment, Edinburgh's West End offers fabulous Christmas shopping with a range of unique places to shop, eat, drink and relax. The West End Christmas Advent Calendar stamp card is now available for pick up in any of the participating businesses listed below. Simply spend in any of them to receive a stamp. Then, when you have 12 stamps you can hand in your card for a chance to win a christmas hamper worth over £1,000. This includes prizes from all the listed businesses! You must hand your card into one of the participating stores by Christmas Eve to be entered into the draw. Terms and conditions apply, please see Edinburgh's West End Facebook, Twitter or Instagram for more details. This is a wonderful way to support the independent shops, bars, restaurants and services in Edinburgh's West End. So, if you're staying with us in December, why not pick up a stamp card and enjoy some West End Christmas shopping? Active X Backs, Angels Share, Bruce Masefield Hair, Denzil, Skinner and Partners, Edinburgh Dental Studio, Face and Body, Foundry 39, Fox and Co Caterers, GlamCandy, Harry's Bar, House of Hearing, Lily Luna, Maialino Deli and Cafe, The Melville, Odyssey Boutique, Orvis, Paper Tiger Stafford Street, Rogue Flowers, Roots Edinburgh, Run and Become, Ryan's Bar, Teuchters Bar, Union Gallery, Vesta, The Voyage Of Buck and The West Room. 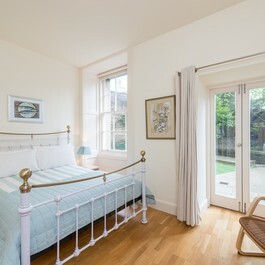 Thinking of spending Christmas in Edinburgh West End? You'd better hurry, we only have a few properties still available! 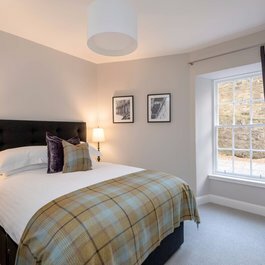 Take a look at our holiday apartments in Edinburgh's West End and please let us know if you need any help or advice.